Kindred Group to Buy 32Red PLC - Expanding Casino operations. We know the Kindred Group because they own and run Unibet and Stan James Casinos. 32Red have always been one of the best performing casinos in the market place. They are regarded highly by players as a trustworthy brand that puts the players first. I’m led to believe that 32Red will remain as a brand in it’s own right and perhaps this purchase will see the expansion of games across the site. The good news for Live Casino players is both Unibet and 32Red use Evolution Live Casino software, with the former having a large dedicated table area. It’s possible that we may see these tables made available to 32Red players like we did when Stan James were purchased by Kindred a few years ago. 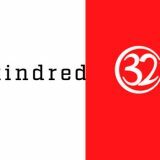 23rd February 2017 Press Release – Kindred Group plc to make a GBP 175.6m recommended cash offer for 32Red plc. 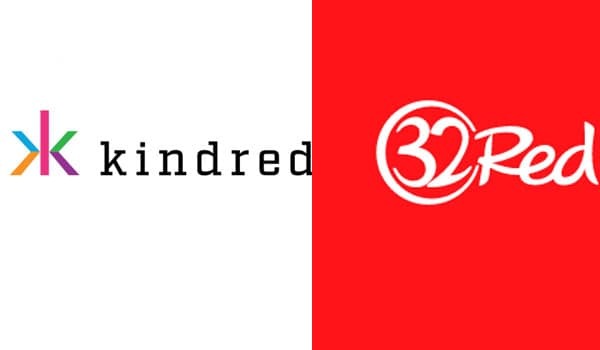 The boards of Kindred Group and 32Red have reached an agreement on the terms of a recommended cash offer (“Offer”) pursuant to which Kindred Group will acquire the entire issued and to be issued share capital of 32Red. The Offer values 32Red at GBP 175.6m. 32Red is listed on the AIM market of the London Stock Exchange. This transaction is consistent with Kindred’s multi-brand strategy and will further enhance Kindred’s position in the online casino market in the UK. Founded in 2002, 32Red is a Gibraltar-based online gaming company, operating online casino, online poker, online bingo and online sports betting under the brands 32Red.com, 32RedPoker.com, 32RedBingo.com and 32RedSport.com. In 2015, 32Red acquired the Roxy Palace online casino business. 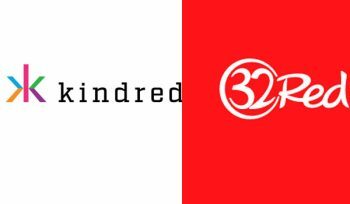 32Red is licensed and regulated in Gibraltar, the UK and Italy and is listed on the AIM market of the London Stock Exchange. 32Red has approximately 125 employees based in Gibraltar. In the financial year ended 31 December 2015, 32Red generated Net Gaming Revenues of GBP 48.7 million and EBITDA of GBP 5.2 million. On 1 February 2017, 32Red issued a Post Close Trading Update for the year ended 31 December 2016 and announced Net Gaming Revenues of GBP 62.3 million. says Henrik Tjärnström, CEO of Kindred Group. The Offer is intended to be effected by means of a takeover offer under relevant Gibraltar law. Under the terms of the offer, 32Red Shareholders will be entitled to receive GBP 1.96 per share and will also be entitled to receive a second interim dividend of GBP 0.04 per share. On this basis, the Offer values the entire issued and to be issued share capital of 32Red on a fully diluted basis at approximately GBP 175.6 million. Accordingly, the Offer together with the Approved Dividend, represents a premium of approximately: 16.3 per cent to the closing price per 32Red share of 172.0 pence on 22 February 2017 (being the last business day before the date of this announcement) and 32.4 per cent to the volume weighted average closing price per 32Red share of 151.1 pence in the one month prior to the date of this announcement. The cash consideration payable under the Offer will be funded by new acquisition facilities of up to GBP 178 million, specifically for the purposes of this Transaction. Kindred Group has received irrevocable undertakings in support of the Offer in relation to an aggregate of 60,701,232 32Red shares, representing approximately 71.1 per cent of the share capital of 32Red. Completion of the transaction is subject to certain conditions including customary regulatory approvals by the relevant gambling authorities. Further details on the offer can be found in a separate announcement by Kindred which is available to view on the London Stock Exchange website at www.londonstockexchange.com.